Most Instagrammable Desserts in the U.S.
What’s better than a regular burrito? How about one made of cotton candy. Customers at Creamberry in Las Vegas can order this cavity-inducing confection stuffed with all of their favorites. 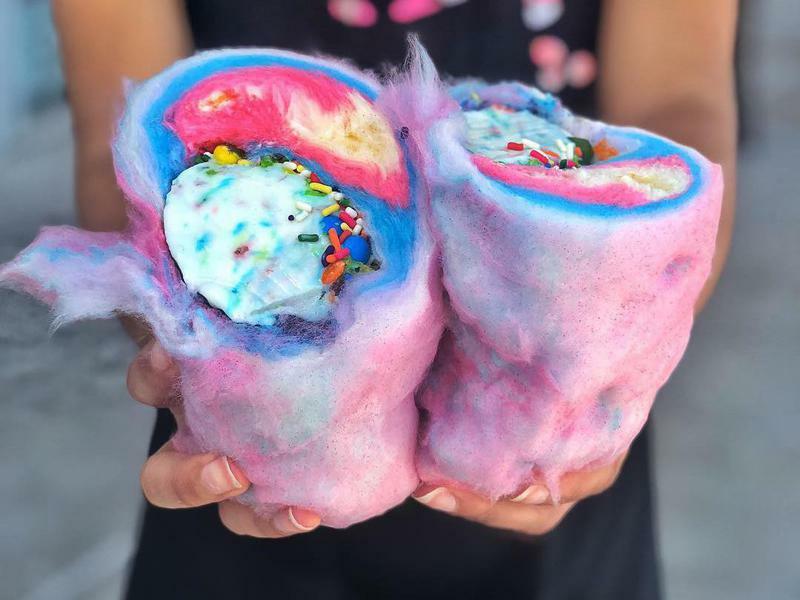 The Cotton Candy Burrito combines your choice of ice cream flavor with a variety of candy toppings, all wrapped inside brightly colored cotton candy. 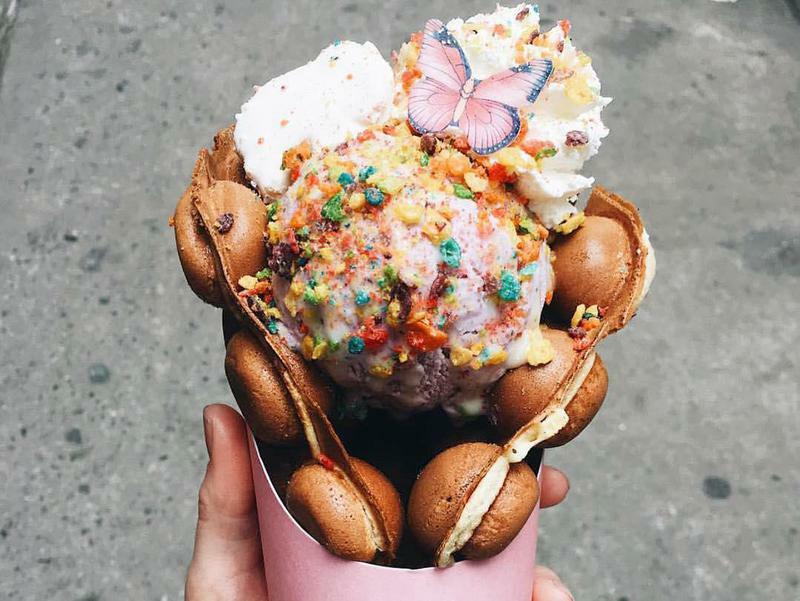 New York City-based ice cream shop New Territories has embraced a Hong Kong street food trend — the bubble waffle — and combined it with artisan ice cream flavors like earl gray and honeycomb. With a light and airy cone and tons of tantalizing toppings, these desserts are true culinary works of art. Introducing a dessert that’s lighter than air — literally. 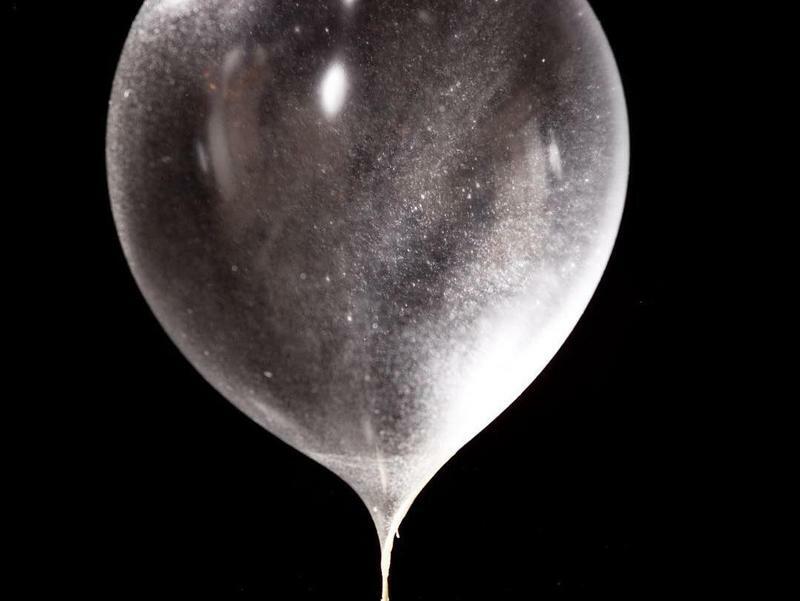 You might recognize this Chicago restaurant from its appearance on the Netflix series “Chef’s Table.” The three-Michelin-starred restaurant, Alinea, is known for inventive culinary creations and its edible helium balloon is no different. Made from inverted sugar flavored with natural fruit essences, this helium-filled speciality hovers over diners’ tables attached to a string made from dehydrated apple. From the bakery that brought you the cronut comes the next big thing in dessert innovation. 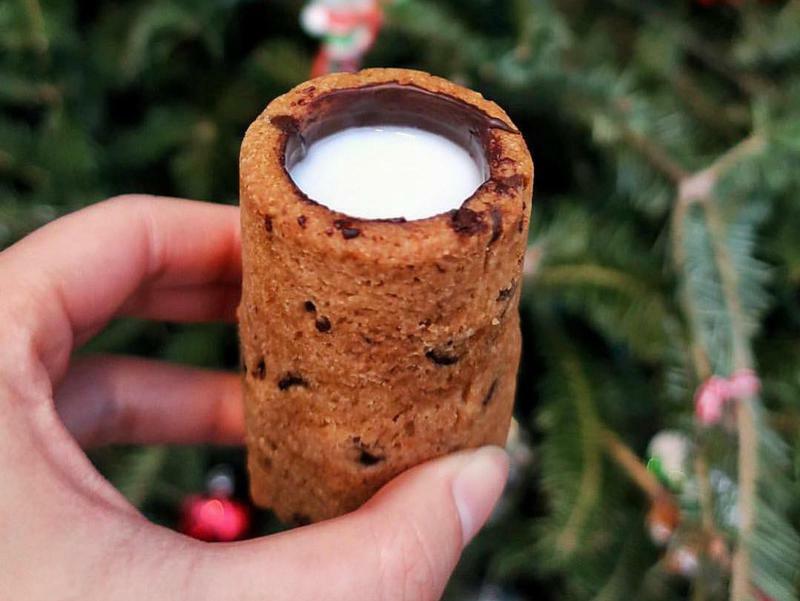 New York City’s Dominique Ansel Bakery created the chocolate chip cookie shot the year after the cronut, and it has since drawn similar lines of customers. The comforting treat combines a warm chocolate chip cookie shaped like a shot glass with homemade, cold-infused Tahitian vanilla milk that visitors pour into the treat themselves before enjoying. In addition to its location in New York City, you can find the Dominique Ansel Bakery in Los Angeles and London. From the outside, the donuts at Honolulu’s Kamehameha Bakery in Oahu look totally normal. But break one open and you’ll discover a gooey, vibrant purple center. 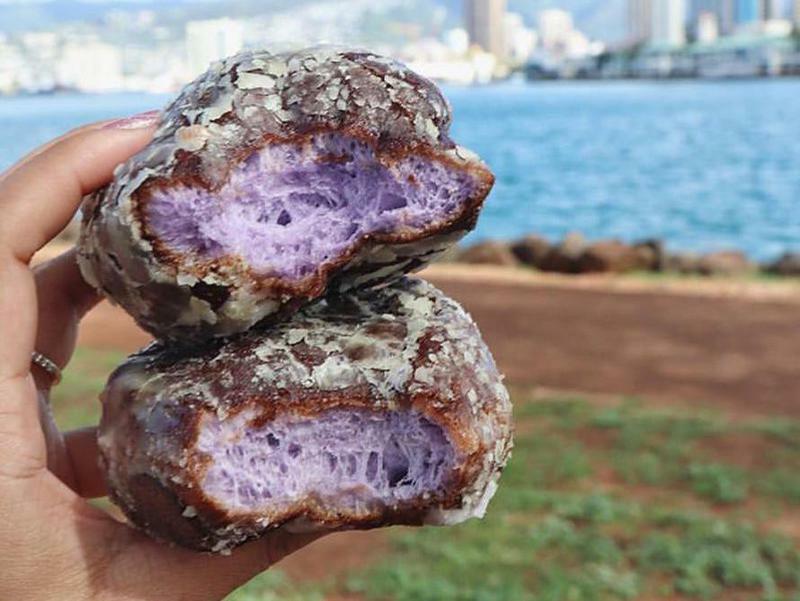 The bakery’s poi-glazed donuts — which pay homage to the traditional Hawaiian dish, made from fermented taro root — have drawn crowds since 1971. Bonus: this bakery opens at 3 a.m., which means it’s perfect for late-night cravings. The phrase “almost too pretty to eat” has never been more true than at the Jardin at the Wynn Las Vegas. 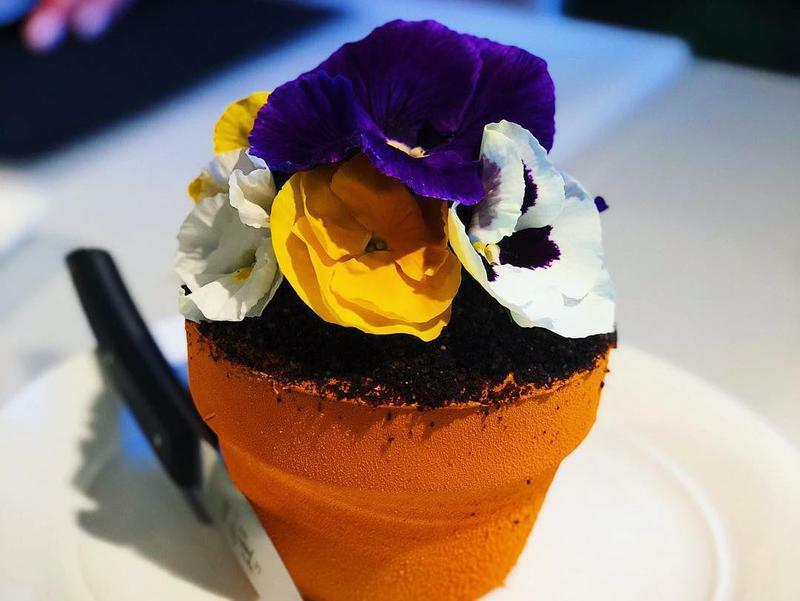 The restaurant’s fanciful fleur cake perfectly resembles a pot full of pansies. While the edible pansies are real, the terra cotta pot is actually a layered chocolate cake coated with cocoa butter spray. The dessert takes at least an hour to assemble and has quickly become one of the Jardin’s most requested dishes. This aptly named behemoth sundae starts with 24 scoops of ice cream covered in hot fudge, caramel and strawberry sauce. Toppings include — but are certainly not limited to — sliced bananas, toasted marshmallows, chocolate chip cookies, gummi bears and giant lollipops. The impressive sundae is finished with lit sparklers and serves a cool 14 people. Try it with friends at any of the Sugar Factory’s multiple U.S. locations, including in Orlando, Las Vegas, Chicago and New York City. The Dragon Breath at Los Angeles’ Chocolate Chair is as much a dessert as it is a performance. These crunchy puffed pearls are filled with liquid nitrogen and have a hint of fruity flavor that many customers say is akin to Fruit Loops. The pearls break open when bitten into, releasing the nitrogen and transforming the eater into a smoke-breathing dragon. 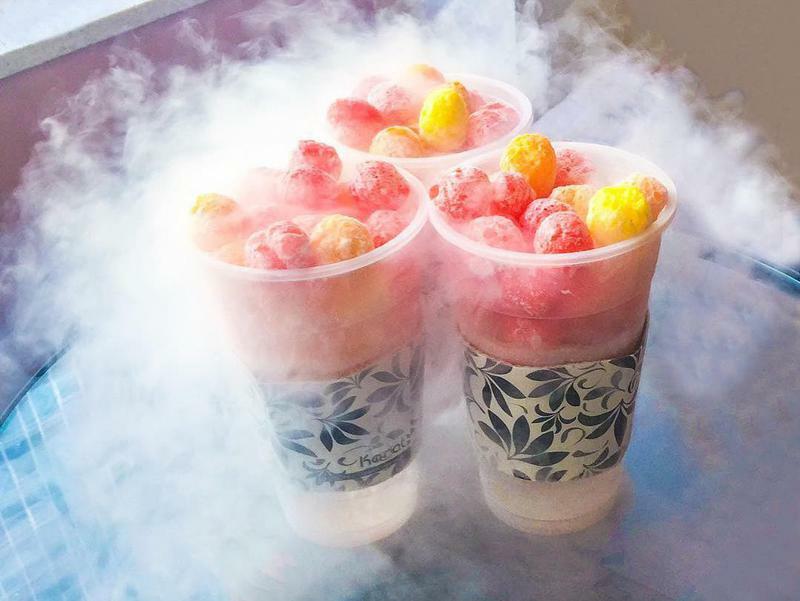 This sweet shop isn’t just blowing smoke — Dragon Breath has made serious social media waves. 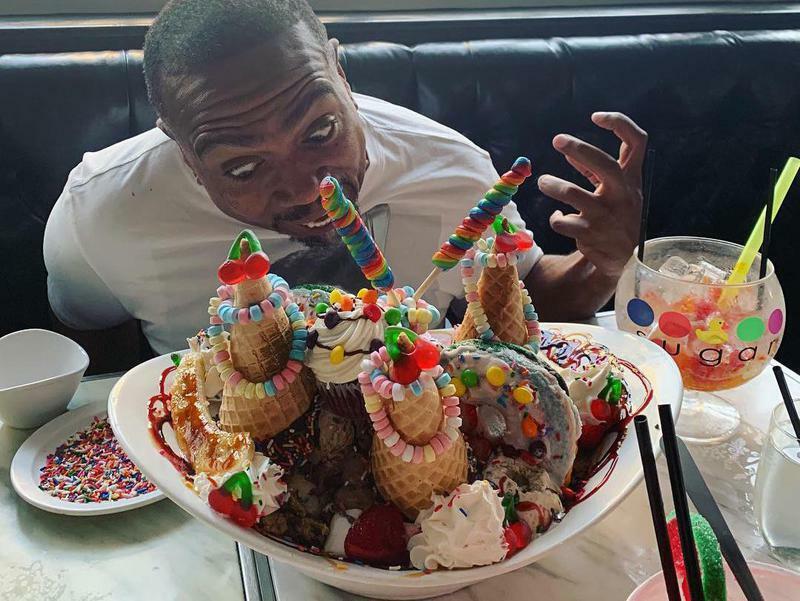 If there was ever a dessert that could give you a cavity just by looking at it, it would be one of Black Tap’s monstrous milkshakes. 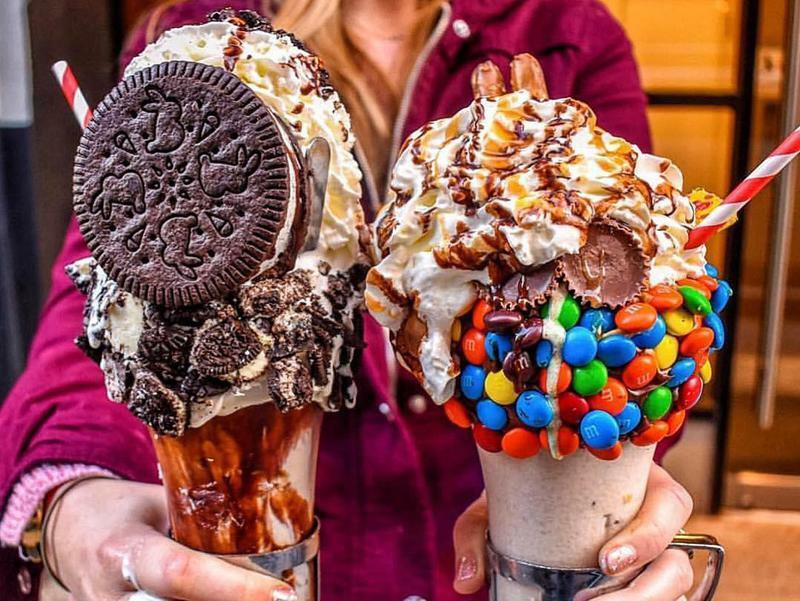 With locations in New York City and Las Vegas, Black Tap’s makes self-proclaimed “crazy shakes” that almost need to be seen to be believed. These ice cream creations are true gravity-defying feats that are sure to stun your taste buds and your followers. NEW YORK (AP) — Starbucks will stop selling beer and wine at more than 400 U.S. stores next week as it ends its “evenings” program. The coffee chain says the “Starbucks Evenings” program in 439 company-owned stores in the U.S. will end Jan. 10. It said the program may continue in some of the nine licensed stores where it is offered, or overseas. The program was first tested in 2010 near Starbucks’ headquarters in Seattle, and was expanded as a way to drive sales beyond the morning rush. In addition to alcohol, the evening menu featured foods like bacon-wrapped dates. Starbucks said in 2014 it planned to expand alcohol to “thousands” of stores. Now, it says it will integrate beer and wine into its higher-end retail format, such as Roastery stores. In the world of food, one thing is certain: Every year is sure to be more exciting than the last. Chefs push boundaries a little more each year, challenging our taste buds with what they put on our plates. Home cooks gain confidence with every meal, which leads to cooking led by intuition – often the best kind. Farmers harvest new produce, inviting us to take chances on unfamiliar ingredients grown in our own backyards. Even the very idea of eating evolves with each passing year: The tradition of sitting down to three home-cooked meals has made way for a culture that enjoys breakfasts on the go, healthful snacks throughout the day and dinners comprised out of small plates. So what does 2017 have in store for us? According to industry experts who predict food trends each year, we can look forward to ethnic flavors and spices, food halls, house-made charcuterie, artisan ice creams, and vegetables as the stars of a meal. We gathered information from the National Restaurant Association, which polls more than 1,000 professional chefs each year; The James Beard Foundation and restaurant consulting firm Baum + Whiteman; read on for a detailed look at what you will be eating this year. First things first – get yourself a jar of turmeric. The yellow powder, prized for its anti-inflammatory properties, is most often found in curries but has many other uses in the kitchen. Stir it into scrambled eggs and soups, toss with roasted vegetables, mix into smoothies or blend with almond milk and grated ginger for a soothing drink. Start with a small amount: The flavor is mild and earthy but slightly bitter. Other spices to try this year are harissa, a North African hot chili pepper paste or powder; peri peri, a South African hot sauce made with African bird’s eye chillies; ras el hanout, a spicy and floral Moroccan blend of more than a dozen spices; and shichimi, a Japanese mixture made with ground chiles, tangerine peel and flakes of nori, or dried seaweed. FIND IT: The hot chicken biscuit – fried chicken with hot sauce and honey on a homemade biscuit – served during brunch at Cardinal Provisions in Asbury Park; Korean fried chicken wings with a sauce of honey tobanjan, a spicy miso condiment, at Teak in Red Bank. Every foodie with an Instagram account will tell you – food in bowls is where it’s at: oatmeal bowls, smoothie bowls, grain bowls. Things just seem to taste better when arranged in a big bowl, and the experts agree. “It all began innocuously with acai bowls for breakfast and then spread to fast-casual (restaurants) when chains discovered their customers were rejecting breads and wraps in favor of greens and grains,” according to Baum + Whiteman. “Office workers are discovering that takeaway bowls are less likely to spatter their laps and laptops, and chefs are finding that assembling a decorous bowl is easier and faster than the complexity of plating upscale entrees because they don’t have to fuss around with all that white space. This refers to places like Sweetgreen, with locations in New York and across the country, and Beefsteak in Washington D.C.: Both are heavily focused on vegetables and have been very well received. “It is no secret that Americans are eating less meat (26% of consumers said so last year) and that vegetarian/flexitarian diets (are) going mainstream,” reports Baum + Whiteman. The James Beard Foundation says cauliflower is the new kale; the oft-overlooked cruciferous veggie has been growing in popularity lately. Chefs chop it small and use it in place of rice and to make pizza crusts, and some even serve thickly sliced “steaks” as an entree. For a few years, mint chocolate chip was all the rage. Then came fro-yo and vegan ice cream. This year, things are going to get a little crazier. Last year, Joe D’Esposito opened an ice cream shop in Belmar that specializes in scoops served in fresh-baked waffles. Then he started making an outrageous dessert that experts predict will be everywhere this year. Keeping with the veggie craze, trend watchers predict the rise of ice creams and pops made with avocado, sweet corn, sweet pepper, sweet potato and pumpkin. A third ice cream trend is Thai rolled ice cream, which starts with liquid ice cream base poured onto an icy cold metal plate. It is scraped quickly with metal paddles, add-ins are mixed in, then it firms and is shaped into rolls. Work, school, kids’ activities, exercise – people are busy these days. While busy people need to eat, busy people don’t always have time to shop or cook. “Peapod, the country’s leading online grocer, recently found that most Americans (70 percent) cook the majority of their weekly dinners at home at least four nights a week, so it’s no surprise services that make it easier to do so are on the rise,” said Baum + Whiteman, which included meal kits on its list of top 10 food concept trends for 2017. That’s where meal kit services come in. These gained major traction last year; think Blue Apron, HelloFresh and Plated. They eliminate the need to grocery shop and send pre-measured ingredients and recipes to your door. For those who want to skip the cooking, meal delivery services are heating up, too. These are businesses run by chefs and food professionals who put effort into preparing healthy, satisfying, home-cooked food. 1. Sorghum: Hailed as the new “it” grain, sorghum has more bite than couscous and is slightly sweet. The ancient grain also is gluten free. 7. Jackfruit: This huge Asian fruit does double duty: Before it ripens, the meaty flesh makes a great substitute for pulled pork or chicken. Once ripened, it is sweet and juicy. 8. War on waste: Veggie extras are being turned into condiments and toppings. 9. Meat aged in whisky, sake lees (the remnants of sake production) and miso powder. 10. Caccio e pepe: In English, cheese and pepper. Traditionally found on pasta, the combination is being used to add flavor to veggies and meat. Dunkin’ Donuts, Canton, Mass., and the National Hockey League (NHL) announced a multi-year agreement, making Dunkin’ Donuts the official U.S. coffee, doughnut and breakfast sandwich of the NHL. The partnership, which marks Dunkin’ Donuts’ first national sports league partnership, will officially launch during the 2017 Bridgestone NHL Winter Classic outdoor game, which takes place Jan. 2, 2017, in St. Louis. As part of the deal, Dunkin’ Donuts will be prominently featured at several of the NHL events, including the NHL Winter Classic, NHL All-Star Weekend, NHL Stadium Series and the NHL’s year-long Centennial celebration. Dunkin’ Donuts will be included in advertising, LED Signage and jumbotron displays, as well as on-site activations at each event, the company says. Dunkin’ Donuts also will have significant presence across NHL’s broadcast and digital platforms in the United States, it says. Dunkin’ Donuts also has a multi-million dollar partnership with NBC Sports that will include custom in-game features and dashboard visibility, as well as advertising across broadcast, digital and social media channels beginning Jan. 2 and continuing throughout the NHL season. New York Rangers captain Ryan McDonagh and Boston Bruins center David Backes will join Dunkin’ Donuts as national brand spokespersons. McDonagh and Backes will be featured in a series of advertisements, along with U.S. Women’s Team Captain and star of the Boston Pride, Meghan Duggan, it adds. For a limited time, Dunkin’ Donuts also will offer special NHL team logo doughnuts throughout the season at participating U.S. restaurants in select markets, it adds. Prior to launching a league-wide partnership with the NHL, Dunkin’ Donuts has maintained a history of local partnerships with several prominent NHL franchises, including the Boston Bruins, Chicago Blackhawks, Nashville Predators, New York Rangers, Philadelphia Flyers, Pittsburgh Penguins, Tampa Bay Lightning and Washington Capitals, the company says. As a result of Dunkin’ Donuts’ partnership with the NHL, the Anaheim Ducks, Arizona Coyotes, Colorado Avalanche, Dallas Stars, San Jose Sharks and St. Louis Blues have joined the brand’s roster of local NHL team sponsorships. Additionally, Dunkin’ Donuts became the first official corporate sponsor of the new National Women’s Hockey League in December 2015 and entered into a partnership with USA Hockey that includes designation as the Official Coffee Shop of the U.S. Women’s National Team in February 2016, it adds. Well, meat-and-potato dishes like chorizo empanadas, Cornish pasties, Southwestern shepherd’s pies and Indian samosas just might be the way to change all that. Flavor profiles from around the globe and portable presentations take meat and potatoes (and your “meat and potatoes” customers) on a flavor adventure. Let’s begin underground to find the origins of portable meat and potatoes. The tin miners of Cornwall are said to be the originators of the Cornish pasty, a sturdy pastry shell surrounding meat, root vegetables, gravy and diced potatoes. The pasty was a portable lunch, taken into the dark depths of the mine. Pasties stay warm for hours, can be eaten without cutlery and—legend has it—are tough enough to survive a fall down a mineshaft. From those mines, the Cornish pasty traveled to miners’ lunchboxes across the ocean to the mining towns of the new country. In the Upper Peninsula of Michigan, the Cornish pasty is a local favorite, something the chefs at Michigan State University (MSU) are very familiar with. This portable meat pie is a jumping-off point for Jason Strotheide, executive chef, MSU Culinary Services, East Neighborhood, who finds meat-and-potatoes inspiration everywhere. In a college dining environment, the idea of a portable feast that works for every daypart and even catering, is especially appealing, and Strotheide draws on the “endless varieties of the prestuffed, folded sandwich,” he says. Empanadas in the MSU kitchen begin with masa harina (translated to “dough flour,” it’s a traditional Mexican flour made with corn). Strotheide likes to blend masa harina with white flour, a combination that yields a tender dough with a light corn flavor and a crisp snap when fried. For the filling, he browns crumbly chorizo sausage with onion, garlic and diced potatoes (skin on), along with some spicy chilies. Strotheide tastes the filling, and if chorizo lacks oompf, he adds some chili powder and cumin. The filling is then cooled, queso fresco or queso Chihuahua cheese is added along with cilantro. From there, the empanadas are formed: dough circles, filling added and edges crimped with a fork. These can be baked, but, “let’s be honest, we all know they taste better out of the fryer,” Strotheide says. “Once they’re finished cooking,” he cautions, “no matter what your mind tells you, do not take that first bite for a couple minutes, unless you like searing pain on the roof of your mouth! Then, go ahead and take your best shot.” He also recommends “minimizing the damage” by offering some cool guacamole or crema on the side. Living dangerously aside, empanadas like these present a great opportunity to use the last of late summer’s bounty. Sweet corn, peppers and zucchini all go great with chorizo. Whether you prefer whiskey, vodka, gin, or rum, you may have noticed some recent shifts in the liquor business. In an international, incredibly broad industry, it’s hard to know which trends are causing seismic shifts, and which are just blips on the radar. So, Business Insider turned to Gilles Bogaert, CFO of Pernod Ricard, the parent company of brands including Absolut and Jameson. 1. ‘Home-tainment’ is a new way to drink. While restaurants and bars have historically dominated the spirits market, Bogaert says that in 2016, the focus is on discovering new moments in which consumers are drinking. In the US and Europe, the shift is part of a growing movement to blur the line between entertaining at home and going out. In some emerging markets, concerns regarding safety are additionally helping drive at-home drinking culture. For Pernod Ricard, the challenge goes beyond providing the correct beverages for the opportunity. Succeeding in “home-tainment” means “not only bringing our bottles there,” says Bogaert. The company is looking into helping organize parties and using social media as a medium to share photos from moments spent entertaining at home. 2. Consumers are getting more savvy. In recent years, sales of Pernod Ricard’s Absolut Vodka has dropped in the US, while Jameson Irish Whiskey has thrived. The reason for one brand’s slump and the others’ success is, according to Bogaert, how customers interpret the authenticity of the two brands. While Jameson’s Irish heritage has been front-and-center, Bogaert acknowledges that Absolut’s marketing in the US got “maybe too emotional,” losing its focus on the actual quality of the product. Now, the company is refusing to make the same mistake again. So, instead of releasing new, out-there flavored vodkas and whiskeys, the company is promoting authenticity and quality. Absolut recently release ‘Oak by Absolut,’ vodka made in oak barrels, as well as Absolut Elyx, a “handcrafted luxury” vodka. In October, the vodka brand revamped its bottle branding for the first time it debuted in 1979 to emphasize its authenticity, heritage, and quality. The quest for authenticity also shaping acquisitions. In late January, Pernod Ricard acquired a majority stake in “hipster-favorite” Monkey 47 gin, despite already owning mainstream gin brands Beefeater and Seagram’s. When asked what he thinks is the top change shaping the liquor industry today, Bogaert had a surprising answer. In the next seven to eight years, Bogaert says that Pernod Ricard hopes that 5% of all sales will be through digital channels. The company already has its own digital platforms selling brands in countries including the UK and France, and is utilizing relationships with ecommerce giants like Amazon to further grow sales. More immediately, social media and online marketing give the company a direct line to customers. Pernod Ricard can quickly respond to consumer habits and concerns, as well as meeting consumers where they already are. That, according to Bogaert, is an even bigger shift than any drinker’s preference for whiskey or vodka. The mention of wine for many, brings a lot of imaginations especially those of luxury, vineyards, dining and wining. For others, the fancies go all the way to romantically exotic destinations, fondly sipping glasses of some red or white wine with their inamorata(o)s. For wine lovers planning to turn their flight of fancy into reality, here are Africa’s best wine countries to consider for your bucket list. South Africa leads in having some of the best wine destinations not just in Africa but also in the entire world, having been identified as a wine growing country since the late 17th century. Traversing the country’s thousands of vineyards, some whose history dates back to 1659, will create a completely enticing world whose sheer beauty immerses you into an unforgettable adventure. From the Constantia wine valley located at the foot of the Constantiaberg Mountain, to the Stellenbosch Winelands which is the second oldest wine producing region, sample some of the best wines that SA has to offer. Traverse through the ancient settler’s town of ‘Paarl’, not forgetting the Franschhoek Wine Valley and experience its homely atmosphere and lush scenery. If you like, go on a binge and once in awhile losing yourself to the wine world. The South African wine valleys are also child friendly, offering great play fields for your little ones. Whether seeking a solo encounter, a romantic getaway or a family bonding wine indulging experience, South Africa should top your list. Gourmet foods are available and accommodation to suite every style. Argued to be the second largest wine country in Africa, Algeria is a close rival of South Africa also seeking to claim its position as a top wine producing destination in the continent. The Hauts Plateaux region is a force to be reckoned with, for remaining steady in the production of Algerian red and white wines including Algiers, Coteaux De Mascara, D’hara, Coteaux De Tlemcen Chlef and Béjaïa; all favorites of many connoisseurs of wine. Take a tour of the wine cellars, sample the various tastes and get treated to alluring views of the country’s dense vineyards. Is Rose Wine your most favorite of them all? Tunisia is the best African country you can possibly experience this magical red wine, made from a variety of red grapes including Grenache, Clairette, Cinsaut Mourvèdre, Carignan, Syrah, Merlot and Alicante Bouschet. If red in not your thing, feel the white’s touch of lost paradise from the Muscat of Alexandria, Pedro Ximenez and Chardonnay grapes. The French flavor from Tunisia’s wine is everything you would like to sample in the wine world. Morocco is yet another wine producing African country and while the industry is said to have a long way to go, it remains a major destination for wine lovers. Visit the Atlas Mountains that command quite a share of fame in producing renowned wines in the country. White is more common, while red is still grown in some parts of Morocco. It is not so popular with wine production, since only the Chã das Caldeiras, a small community in the Fogo Island produces wine. Yet, you can find some of the best red and white wines in Cape Verde that will activate your smell and taste glands with the brut. Few people know Ethiopia as a wine country, yet Ethiopian wine enthusiasts have since 1998 been enjoying locally produced wine from Ziway, a small region in the Horn of Africa. visit the country’s Rift Valley and have a chance to indulge in both red and white wine from Bordeaux, whose consumption goes well beyond the Ethiopian borders. Enjoy the scenic lakes enclosed by an impenetrable woodland with thrilling bird life for your adventure. FOH Front of the House®, a Food & Beverage industry leading authority on tabletop trends, also designs and manufactures a stunning array of glassware, drinkware, and cocktail picks. Bringing a creative & unique touch to any Happy Hour or beverage consumption experience. Whenever using Front of the House®’s stylish picks to build the perfect beverage in Front of the House® drinkware or dressing up small bites and appetizers, Front of the House® products push your dishes to the next level! FOH Creating the perfect cocktail or refreshing beverage begins with choosing the right drinkware from Front of the House®’s stylish selection of unbreakables or glassware. The BPA-Free Drinkwise® collection is safer and stronger than any commercial drinkware available in the food & beverage industry; it has a glass-like clarity, and is industrial dishwasher safe which allows them to withstand thousands of washings. FOH®’s Glassware is a budget-friendly drinkware option that is available in a variety of trend-forward shapes and styles. Showcase your unique serving style by adding FOH® accessories and picks to your small bites and drinks. Choose from a wide variety of bamboo, stainless steel and porcelain picks, spoons, mini forks, tongs, and more. Customize your order by incorporating your logo or artwork to create an impactful branding opportunity. The sky is the limit. foh1Drinkwise®, Glassware and Front of the House® accessories and picks provide superior high volume service at a low cost. As explored in Food & Colour: Visualising Flavour, the food and beverage landscape is benefiting from experimental and compelling colour applications that are helping to elevate dining and drinking experiences to new sensorial heights. Wine, in particular, is enjoying a multi-hued moment as product developers look beyond traditional white, red and rose iterations. See Alcohol Trends 2016 for insights into orange wine – a variety becoming increasingly popular for its light and refreshing taste delivery – as well as Blue Wine, a Spanish variety that uses indigo pigments to create a visually arresting product. Bringing creative colour treatment to the world of mixology, South Carolina-based restaurant 492 has invented the Disco Sour – a cocktail that changes colour from pale yellow to deep violet. Dubbed by the restaurant as a “magical mood-ring ingredient”, butterfly pea flower (a bright blue flower native to Asia) is used to catalyse the colour transformation as it slowly bleeds its blue-toned ink into the beverage. Lemon juice can also be added to trigger a purplish tone. Appealing to consumers’ desire for culinary drama, similar applications have been seen in other food categories. See Colour-Changing Ice Cream and Holographic Chocolate. These concepts are all focused on eliciting surprise and delight for thrill-seeking ‘culinary explorers’. See Nightlife Eats for more on bar and after-dark leisure culture. For further insights into culinary experimentation using science and materiality, see Food & Materials: New Edible Forms. For more on current mixology trends in the at-home and on-the-go markets, see DIY Mixology.